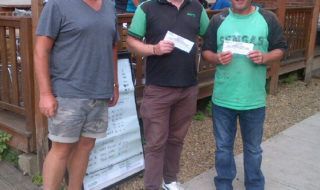 Barston Lakes is running an all-star charity Pairs Match to raise money for Birmingham Children’s Hospital – and the more money anglers can raise, the more of a fool organizer Lee Woodhouse is prepared to make of himself. 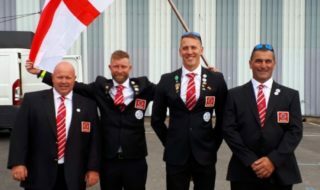 The event takes place at the Solihull, West Midlands Fishery on Friday August 20th, 2010 and features top match anglers like Darren Cox, Andy Kinder, Kieron Rich, Sean Ashby, Jamie Masson and Steve Ringer. The money is being raised through an innovative scheme that requires 20 ‘ordinary’ anglers to pledge £200 to fish alongside one of the stars. 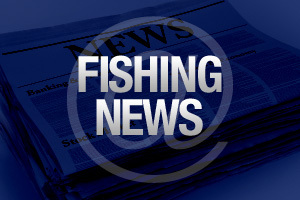 The pledges can be made online, and as an added incentive if people wish to pledge more, the top five offers will get to choose who they fish with. The remaining 15 will be drawn for. Lee, who runs a lot of matches in the Midlands, has foolishly offered that if the event can hit its £1,000 target, he will agree to be thrown into the lake off the bridge to the 18th Green (the fishery is at the West Midlands Golf Club centre). If he can raise over £2000, he’s going to shave his head!!! 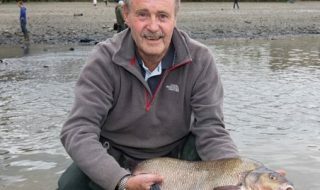 Angling TV channel OnlineFishing.tv has promised to cover the event for its Match TV series…. Birmingham Children’s Hospital is one of only four specialist Children’s Hospitals in the UK. As well as providing first class general paediatric services to children in the West Midlands, we treat some of the sickest children in the country and provide some of the most highly specialised services in the country. Charitable donations support and enhance the services of Birmingham Children’s Hospital by helping to fund additional facilities and equipment, supporting medical research and providing the extras that make being in hospital a more comfortable and less distressing experience for children and their families. Birmingham Children’s Hospital is a centre of excellence. With your support we can keep it that way and ensure that it continues to care for our children whilst working to research, prevent, and cure childhood illnesses.